What’s up with Connie Reguli? – Kent Hovind v. Robert Baty – The Great Debates! Home→What’s up with Connie Reguli? In December of 2016 I began following the “Baby Holm” case because of the secret meddling therein, on behalf of the parents, of Kent Hovind’s man Brady Byrum who used his “sovereign citizen” theology to help the parents promote their anti-government, anti-child welfare agenda. In the course of that effort the name of Connie Reguli began to appear as well as efforts to mount an anti-government, anti-child welfare campaign while many dysfunction (typically women) sorts rallied to her side and told their stories (typically false and/or misleading). 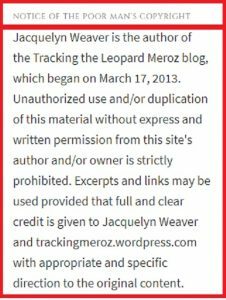 Jacquelyn Weaver today, February 11, 2018, has posted to her blog a commentary and analysis attempting to explain who Connie Reguli is and how she fits into the anti-government, anti-child welfare movement. Over the past few months we have been looking at several areas where the Sovereign Citizen Movement, with their false legal arguments and falsified credentials, have caused those who heeded their counsel to go to jail. One of the issues which Sovereign Citizens have attached themselves to is the emotionally volatile Anti-CPS (Child Protective Services) movement. In the midst of all this Anti-CPS clamor stands attorney Connie Reguli, who in contrast to Sovereign Citizen “diploma mill lawyers”, actually graduated from an accredited law school, passed the Tennessee State Bar Exam, and practiced in the broad area of family law for over 20 years. Reguli is now undertaking to lead a grass roots movement of reform in the very controversial area of child protective law. Seemingly oblivious to the moral weight of her own deeds upon the scales of justice, as she represents first one side and then another, Reguli would like us to think that she can now impartially represent the interests of those parents who believe, contrary to American legal theory, that they have absolute authority over their own children. Ever against Federal financial incentives for other people, Reguli is not afraid to embrace the nonprofit corporation benefits for herself. Interestingly, on April 22, 2016, four months before she registered her nonprofit Family Forward Foundation in Tennessee with an effective date of September 1, 2016, she created her website Family Forward Foundation.com. As of February 3, 2018, Connie Reguli posted the following comment on her Family Forward Project FB, stating that she still had not been approved by the IRS for 501(c)(3) status. Yet her website asks for donations on behalf of her nonprofit organization while it is still in limbo with the IRS. Reguli fails to address with documented facts how these requirements actually affect the manner in which cases are handled. The reality of many families who have had children placed in foster care, is that these parents have resisted making even the most rudimentary of changes needed to properly care for their own children. Many of these parents have criminal, drug and mental issues, poor work habits, poor social skills, etc. that have placed their minor children in physically and emotionally distressing situations, and it is the failure of the parents to act responsibly, that keeps their children in foster care. An article on brentwoodhomepage.com dated January 7, 2016 titled, Brentwood lawyer suspended from practicing law after court upholds panel’s discipline summarizes the details of the complaints which had been filed with the Board of Professional Responsibility against Connie Reguli. The judgments were appealed, and in a December 28, 2015 filing in the Supreme Court of Tennessee at Nashville, Board of Professional Responsibility v. Connie Reguli, an opinion was given after a thorough review of these matters. Again, this is an interesting 18 page document which any layperson can understand. Connie Reguli’s motives also appear to harbor a conflict of interest, particularly as she expresses a continuing bitter personal resentment towards those she had conflicts with in the past. The very sober issues of CPS deserve an analysis which entails respectful fact finding and a deeper understanding of law; something which no grassroots movement of disgruntled name callers can ever engage in.